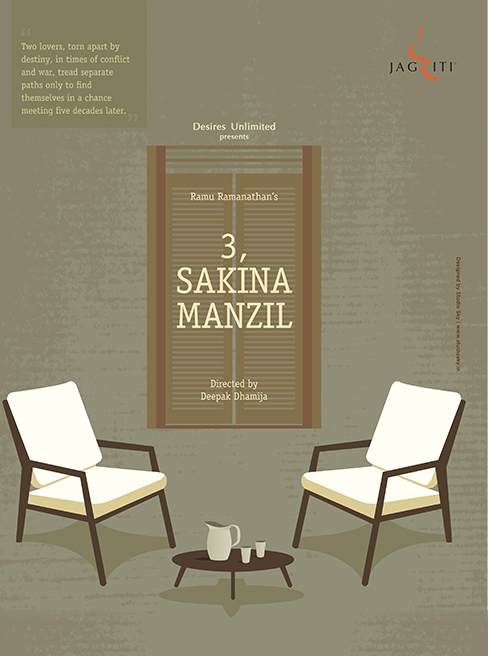 Ramu Ramnathan’s 3, Sakina Manzil is an English play and the duration is approximately one hour and forty five minutes. The play depicts a sensitive portrayal of the 1940s era when both India and the world were fighting for their own share of peace. The world was being ravaged by World War 2 and India was struggling for her Independence. In these times of conflict, the Hindi film industry was finding its own feet and people, their own identity. But amongst all this and despite it, two lovers were weaving their own dreams, only to watch it tatter in front of their eyes. It’s a story of love born in the times of strife, shaken by a tragic twist of fate and event, later to be re-united in memory, nostalgia and a chance meeting. • Collaborators which bagged the BBC Radio Playwriting Regional Award (2003). Besides this, he has also written the docu-drama – 3, Sakina Manzil – translated into Dutch and performed at the Frankfurt Book Fair. As well as, Jazz and Cotton 56 Polyester 84 which bagged the META awards. He has also penned youthful plays like Curfew, Yaar, What’s the Capital of Manipur, Combat, Sanjivani Super Show and one act plays and radio plays. Ramanathan has written and directed three children’s plays: The Boy Who Stopped Smiling (145 shows) and Medha & Zoombish and Medha & Zoombish II.